Have You Received the Power from the Social Media? There is always an old saying about “A workman must sharpen his tools if he wants to do his work well”. 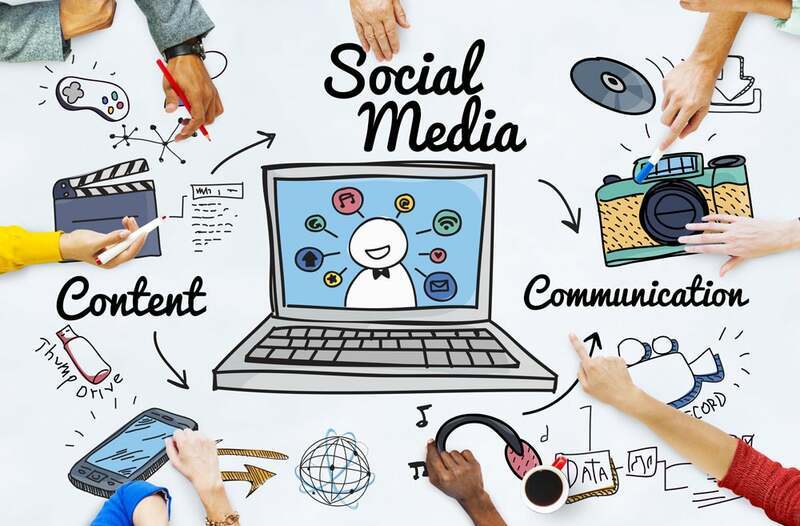 Social media has now become a tool and a platform for people to share opinions, experience and point of views among them; its immediacy and interactivity has also given people tremendous convenience in connecting with another. Accordingly, if we make use of the different social media platforms with compliance, not only will our network be expanded but also our contacts, it will definitely be a boost to building the NU SKIN business. Amy is Nina’s aunt, and she is new to the NU SKIN business. Besides promoting the products and business opportunity through face- to- face interaction, she was thinking about if there could be any other way that will help promote the NU SKIN business, so she reached her niece, Nina, who is also building the NU SKIN business. Amy: Nina, Facebook is very popular among young people, isn’t it? Nina: Yes! Many people like to share their emotions, news or even their favorite stuffs on Facebook. We can share what we would like to share through Facebook to a number of people without stepping outside. Amy: Is it true? Can you teach me to post on Facebook? I would like to upload information related to NU SKIN on Facebook, I think it will attract more people! Nina: No problem! In fact, NU SKIN is also well aware of the power of social media in recent days and is willing to encourage the NU SKIN distributors to take advantage of the social media in a compliant way for building the NU SKIN business, so NU SKIN has prepared the relevant guidelines and policies for everyone to comply. May I know what you would like to post? Amy: I would like to post some descriptions for products along with the before & after pictures of using the products so that everyone experiences the excellence of the products, I would also like to share my life stories so they may know how great it will be after signing up as NU SKIN distributor. I have prepared the drafts for you. Nina: (Take a glimpse at the draft) Aunt. No way! You may take a look of what you wrote- “lymphatic drainage and eliminate edema”, over-claiming the efficacy and making inappropriate claims to the products will negatively impact yourself and your NU SKIN business in a long run. I suggest you alter your post to “besides using the products according to the product instructions, you may need a fair amount of exercise and have a balance diet in order to see the effect! The results must be consistent with the claims in the company’s materials” Also, we shouldn’t have boasted our sales volumes, and we never disclose our income as the NU SKIN distributor. Sayings of how much you earned after joining NU SKIN are not allowed. You may use the positive image of the Company to attract people, let them know that everybody has an opportunity to succeed as long as they are willing to pay the efforts. NU SKIN has been telling us that “generating meaningful compensation as a distributor requires considerable time, effort and commitment.” The compensation plan of NU SKIN is not a scheme that will help you get rich fast. Amy: Really?! I understood, so I have to re-draft what I am going to post. I may ask your help to double check for me later! Nina: No problem. Aunt, although it is very easy to share messages on the internet, we have to be careful to the contents of what we are going to post. Considering the nature of the internet that keeps every footprint of where you have been, if we make any wrongs or mistakes carelessly, it will not only undermine the purpose of promoting the business, but will also violate the “Policies and Procedures” of NU SKIN and the local laws, it will surely do more harm than good! Amy: That’s right! There’s no shortcut for success. We still have to build the business with our own hands. Nonetheless, I believe that we can attract more people to get in touch with us as long as we keep sharing what we like in a compliant way, and, gradually, we will be able to create positive influence. Nina: Yes. Let us work together for a better future and DISCOVER THE BEST YOU®! Dear partners, have you received the power from the social media? Using social media to promote the NU SKIN business has to be compliant to the law and policies. Subject to the compliance of the relevant policies and making good use of the social media to promote NU SKIN, you may create your personal branding style and add it up to your NU SKIN business. 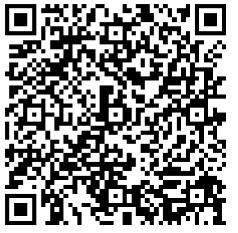 Scan the QR code below, and you may find the social media guidelines and the relevant policies! Let’s go and get to know it now!